Garden Decking - Advice and guidance on DIY decking. A decked area within a garden has become a very popular addition to many UK homes. Free-standing or attached to a house wall, it offers an ideal place for outdoor entertaining and provides a useful solution to gardens on slopes or in problem locations where plants or grass refuse to grow. So, if you think an area of timber decking is right for you, then here is some general advice for those wishing to undertake the task themselves. You will of course need a number of basic tools, which for speed, should include a power drill and powered saw. A spirit level is also a must, along with a spade to dig holes for the foundation posts. Lastly, never underestimate the value of a second pair of hands. Selecting the type of decking boards you want is a subject in itself. Make sure you buy timber that has been preservative treated to Use Class 3 for the boards and Use Class 4 for any posts in ground contact. You might like to consider boards with non-slip inserts. When it comes to the size of your deck, think about the size of your garden. How much of your space do you want to cover with decking? You’ll want the deck area to be useable, but it should complement your garden rather than overwhelm it. Does the garden slope? Because if it does, you might be building steps into your design. How much sun does it get? The south-facing side of the house will offer the most sunshine. What’s the view from the site? The right view inspires use. How much privacy does the site afford? Does it offer you the privacy that you want? Consider obstructions like trees, access routes for mowers etc. Consider checking for planning permission and building regulations. Consider your neighbours feelings and consult rather than create a dispute. Once you’ve decided on the size and design of your decking, you’ll need to work out how many deck boards you’re going to need and therefore how much it’s all going to cost. To do this, you can be traditional and do a basic calculation or we would suggest using our free to download App. 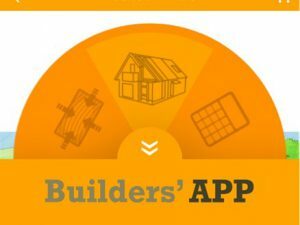 The Wood Campus Builder App is available for Android devices HERE or IOS devices HERE. Expansion gaps allow rainwater to easily run through the decking (rather than pool in an unwanted puddle) and for the deck to expand and contract due to changes in the weather. 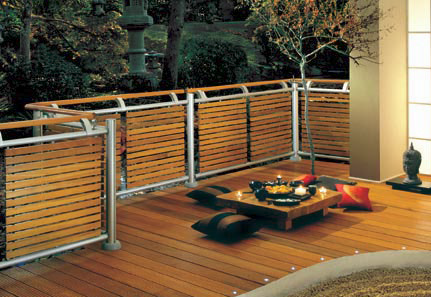 If this information has inspired you into action then why not take a look at our comprehensive decking guide available HERE.